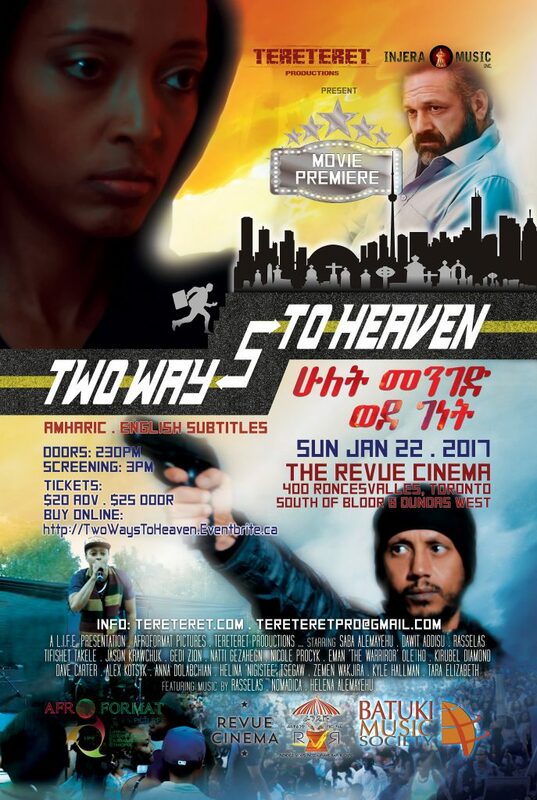 Toronto, ON – TereTereT Productions, Injera Music Inc and Batuki Music Society are proud to present _Two Ways To Heaven_ movie screening on Sunday January 22, 2017 at 2:30 PM the Revue Cinema in Toronto. _Two Ways To Heaven_ is based on true events, following various characters as they navigate the complexity of modern day life away from their birthplace. As a film by and through the eyes of first generation African immigrants, it strikes a unique cord in the diasporic discourse outside the usual documentary or educational format. Yet, despite the gravity of the stories seen through this film, it still promises to be a fun and upbeat experience. The movie was mostly filmed in Toronto, with some scenes filmed in Ethiopia. It is both in Amharic and English languages with English subtitles. This way, it’s accessible to the multicultural communities of the Canadian public who may relate to the stories or find a different lens. 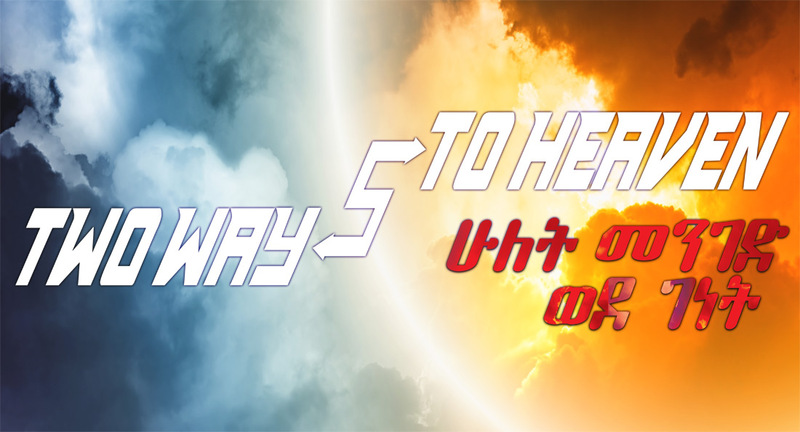 _Two Ways To Heaven_ is TereTereT Production’s first feature film written by Dawit Addisu. It stars dance artist Saba Alemayehu, Dawit Addisu, Rasselas and more. It also features some groundbreaking fusion music of various styles by Toronto’s diasporic cultural ambassadors: Rasselas (Injera Music Inc), Helena and Nomadica Band. This production by TereTereT was truly a collaborative effort by many individuals in Toronto and Addis Ababa, both as actors and crew. The support of these business was also vital: Lickadee Split Ice Cream Shoppe, Friendship Lounge, Blue Nile Ethiopian Restaurant, Rendez Vous Ethiopian Restaurant, African Drums & Art Crafts. Batuki Music Society, an arts organization very active in presenting African music and arts in Canada, is also one of the presenters. TereTereT is proud to screen _Two Ways To Heaven_ at the Revue Cinema, one of Canada’s centenarian theatres, open since 1912. It’s a great cozy theatre nestled in the heart of Roncesvalles neighbourhood, known for screening many independent films and festivals. This event is open to the public, 18+.